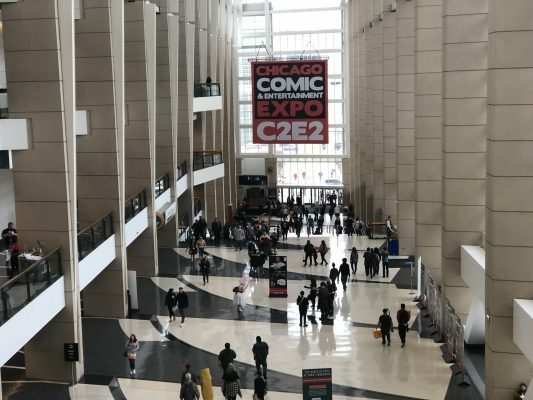 Another year means another C2E2 (Chicago Comic and Entertainment Expo). Bringing some of the most iconic celebrities, cosplayers, and online personalities from around the world together under one roof is for what C2E2 is known. While gaming has always had some sort of presence, I have not seen a presence this strong in all my years covering the 10-year old convention. 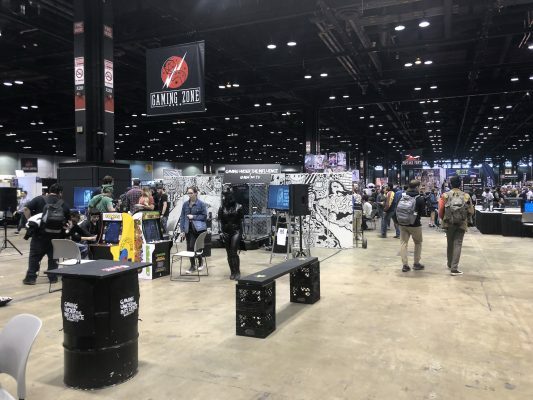 While the panels in the past have seemingly neglected gaming entirely, C2E2 2019 had quite a few gaming related panels to attend. From seeing Mortal Kombat announcements first hand (see Jake’s write up HERE) to playing some of the Jackbox Games series with the developers (see Cody’s write-up HERE) there was much to see as a gamer looking for panels to attend. 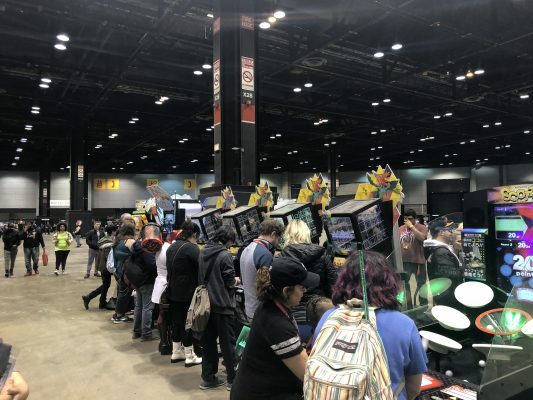 The main aspect of C2E2 I focused on this year was gaming on the show floor. In years past, I wrote about the lack of a gaming presence. This year, the organizers of the convention took a step in the right direction for gamers wanting more. 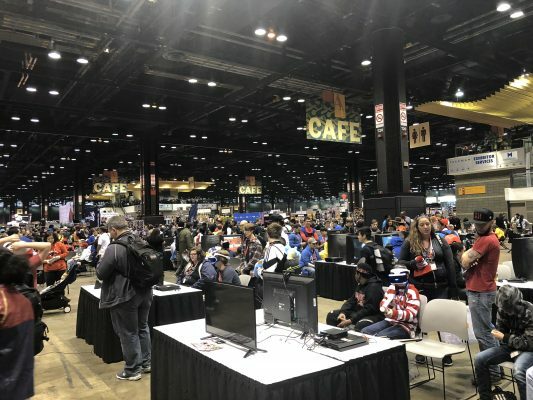 While having not only the retro consoles set up with old tube televisions for LAN games, they also had many modern games to play including Smash Bros Ultimate, Overwatch, and Playstation VR Games. With tournaments and casual gaming, there was plenty to do if you wanted some games to play. The Overwatch tournament was one of my favorite events to spectate at the “Gaming Zone” on the show floor. 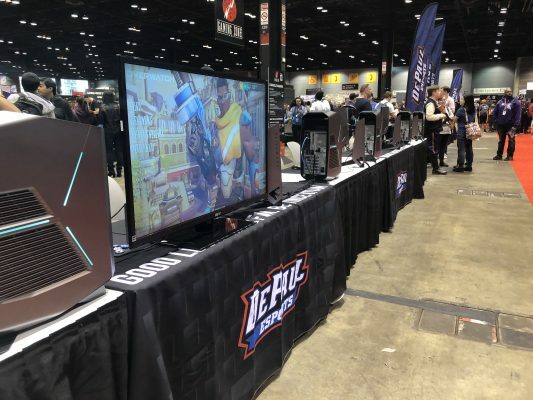 With the inclusion of the DePaul Esports organization, there was a great setup for the Overwatch tournaments being held throughout the weekend. With 10 high-end Alienware PCs set up for gaming, they had a legitimate Esports vibe to all tournaments. This made for fun viewing. You could hang out behind a team and listen to their strategies while they’re winning and just walk right over to the other team and hear how they plan to come back and win the game. If I were not such a console gamer, I may have attempted to get on a team to compete. One last addition was the inclusion of “Gaming Under the Influence.” The idea of this small-stage competition is simple. Drink (or don’t), compete, and win prizes. 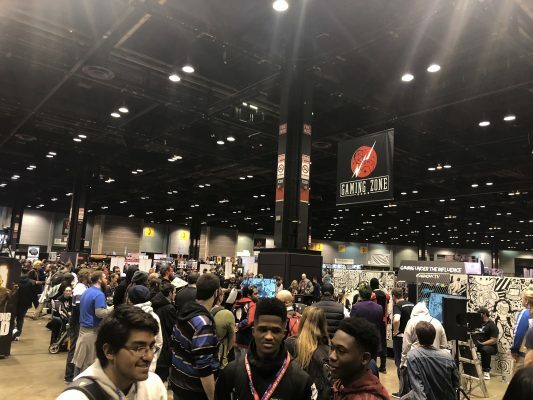 While the GUI team can be found holding events at bars or restaurants around the greater Chicagoland area, it was entertaining to watch what obscure games in which people would be competing against one-another. It was so fun to watch that I really hope they are back next year. For more information on Gaming Under the Influence you can visit their website HERE. With much more gaming this year, one would assume there may be even more gaming activities in the years to come. I, for one, am very excited for what next year’s convention may have to offer.